Podere La Madia farm is a family run business in Val d’Arno di Sopra, in Arezzo’s province, along the Setteponti Ponente road on the Pratomagno slopes. In our 10 hectare land – 7 of which dedicated to the olive groves and the remaining 3 to the vineyards – we produce extra virgin olive oil and wine which are typical of our territory. Lucia is the owner, the tenant and the responsible of the farm. Her husband Carlo and her son Giacomo work with her. Everything began in 1996, when we bought the first plot of land with around 150 olive trees. Later on, we decided to expand the business and acquired other pieces of land, again with olive groves and just afterwards with vineyards too. Since the beginning the farm pillar was to respect the organic manure and treatment criterion, therefore we never used chemical fertilizers or treatment to protect our olive trees from parasites and fungal diseases. We are an ICEA organic certified farm since 2015. We wanted our farm to create its own independent and harmonious equilibrium, not using manures containing alien components: for this reason, we decided not to use organic fertilizers of animal origin and each year, in different areas as needed, we sow vetch, lupin, lucerne, clover etc. and we mince the branches residual from the pruning of the vines and olive trees and leave them to cover the ground. With this method, the soil enriches with humus and becomes alive, with many different life forms, and the plants can use their own roots to take the nourishing substances they need to grow. In our vineyards and olive groves there are many ladybirds, natural predator of plant lice and moths, and this demonstrates that how we chose to run our business created an environmental equilibrium. The ladybird therefore became our lucky animal and we wanted it to appear in the labels of our products. Our farm management, with the vineyards terracing, is quite demanding: we have to be there to follow the vineyards growth with weekly care; we have to manually work under the rows to cut the grasses and on the plants to defoliate (several times, step by step), in order to guarantee the best ventilation possible within the foliage and all around the grape bunches, in this way avoiding the mould creation and also orienting the shoots’ growth to have a uniform and wide canopy. Thanks to the high quality of the grape reaching the cellar, it is possible for us to minimize the sulphites’ addition. Our wines have the minimum level of sulphites allowed by the law for the common wines and even lower than the level permitted for the organic ones. We produce our wine in the vineyards while in the cellar we just carefully follow its ageing. We do not use fining agents of animal origin, we do believe that the fining of the wine is a natural process which is obtained only with time and natural settling, with the help of the winter colds and consecutive racking. 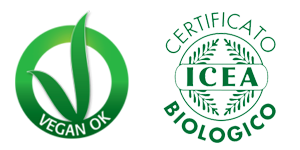 Our products have also a “Vegan OK” certification. Upon reservation, it is possible to visit our winery and taste our oil and wine. Booking in advance, it is also possible to have lunch in our farm, with our wines matching typical dishes, which are always different from season to season.